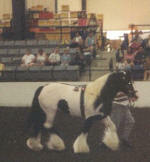 We are Brian & Mary Beth Wherry, owners and breeders of the Gypsy Vanner Horse. 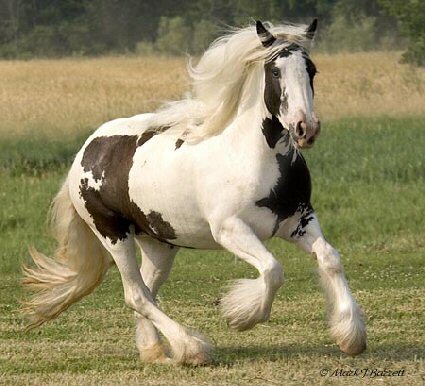 We chose our farm name because we feel these horses really are magical, especially in action. 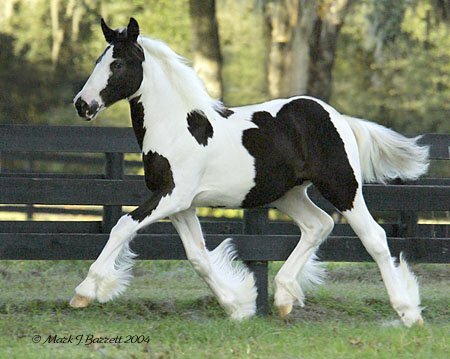 We currently own three Gypsy Vanner Horses, two Cushti Bok daughters and our homebred BB King filly. They are everything we believe the breed should be - smart, willing, athletic, friendly, well conformed and well feathered. My first introduction to the Gypsy Vanner Horse was at a show in KY in 2001. There my sister and I met Dennis & Cindy Thompson of Gypsy Gold Farm, who had their stallion The Gypsy King there for the expo. It was love at first sight. I knew then I would have one for my own. 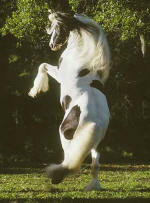 In 2002, I decided to purchase an embryo of my choosing from Gypsy Gold Farm. I visited the farm in November 2002 and picked out the combination I wanted, Rose and Cushti Bok. I was in love with their 2002 filly, Rose Petal, so I chose to purchase a full sibling to her. My baby was bred in May 2003 and I waited with baited breath for its birth. In November 2003, I got the opportunity of a lifetime - a mare named Rawnie came for sale from Bit A Both Farm, a breeder of the Gypsy Vanner and friends of mine. As I had admired her from the first moment I saw her in July 2002, I couldn't believe this opportunity. I flew from VA to FL to complete my purchase in December. In April 2004, my embryo was born - a colt named Stormy. Although extremely pleased with him, I was not looking for a colt, especially one that was a half-brother to my mare Rawnie. Stormy was sold to Gabi Loudermilk of Equusloco in CO. In January of 2010, Brian & I became the proud owners of not only our first house, but our first farm! With 9 acres but no fencing or barn, there was a lot of work to do. In March 2010, Brian completed building two stalls, a tack/hay room and our first paddock, and Rawnie moved in! 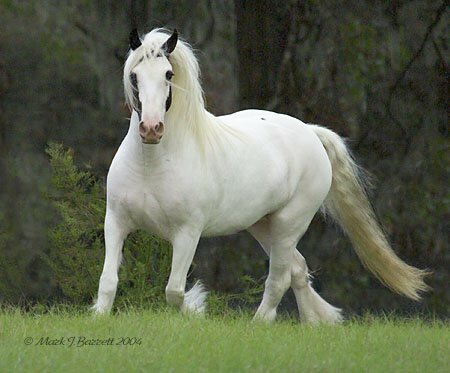 In April of 2010, I had the privilege of purchasing Rose Petal, that filly I had admired so many years ago, the reason I chose the embryo that became Stormy, and she came home. Many thanks to Anne Crowley of Vintage Vanners! 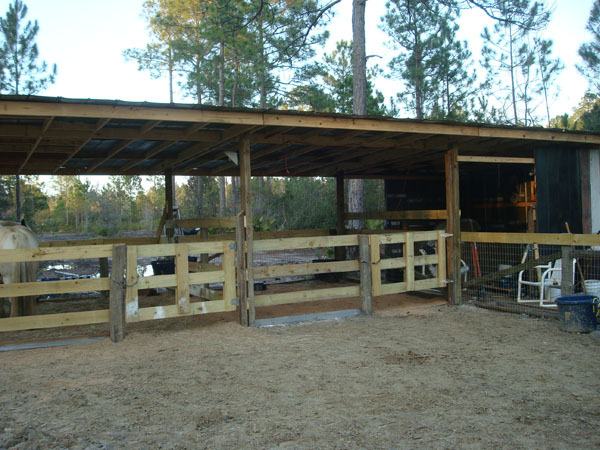 In March of 2011 our second paddock was completed. 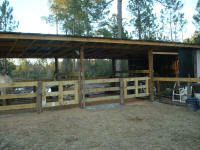 In February 2012 we completed our third paddock and our foaling stall. Rose Petal foaled out a beautiful filly by BB King in her new stall in April 2012, our keeper filly Morning Glory. My husband Brian is a professional painter, and the owner of Universal Painting. I do web design and maintenance, as well as enjoying my horses. 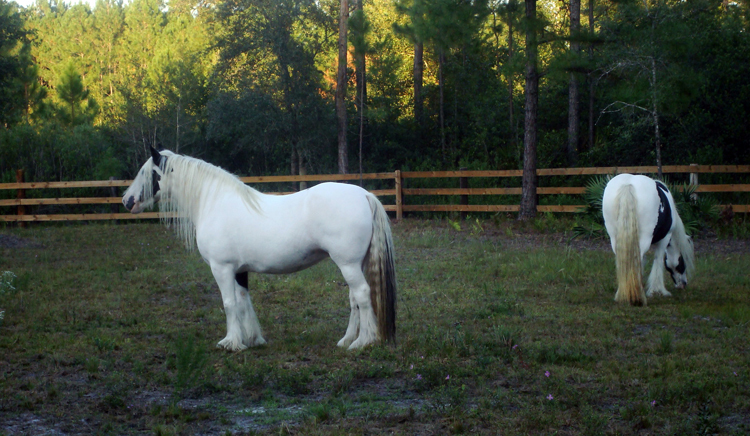 We are located in Middleburg, FL, just south of Jacksonville. Keep checking back, we will post lots of foal photos when the baby comes!